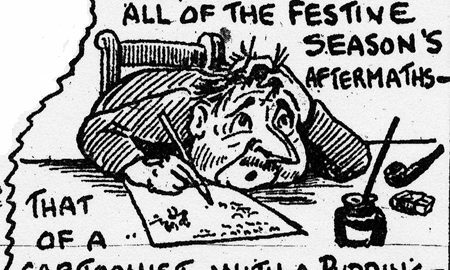 Over the period 1922-1929 (at least), cartoons by "TEEK" were a feature of The Citizen Sports Edition, and they are reproduced here with the permission of The Citizen. He clearly had a very good understanding of the game, and was well-acquainted with the players and personalities involved. He must have routinely attended the matches, and then rushed back to produce his detailed work. But who was he? We're still researching this.